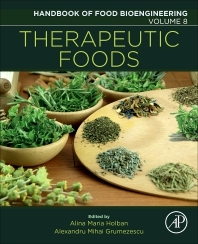 Therapeutic Foods, Volume 8 in the Handbook of Food Bioengineering series, is an essential resource for anyone investigating foods that may be utilized as therapeutic agents. Plants and animal products have been utilized since ancient times as medicine to treat diseases, and the properties within foods and ingredients are still investigated for food therapy and prophylaxis. The book is a comprehensive resource for researchers and scientists already in the field or those just entering. It covers many spices, plant extracts, essential oils and vegetal mixtures that have immune-stimulatory effects and can be efficiently utilized in the treatment of infections and cancer.